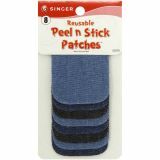 Peel N Stick Reusable Patches 3"X2" 8/Pkg - SINGER-Peel N Stick Reusable Patches: Assorted Denim. Mend, reinforce or decorate your favorite garments! It is quick and easy, no iron-on mess and no sewing required. 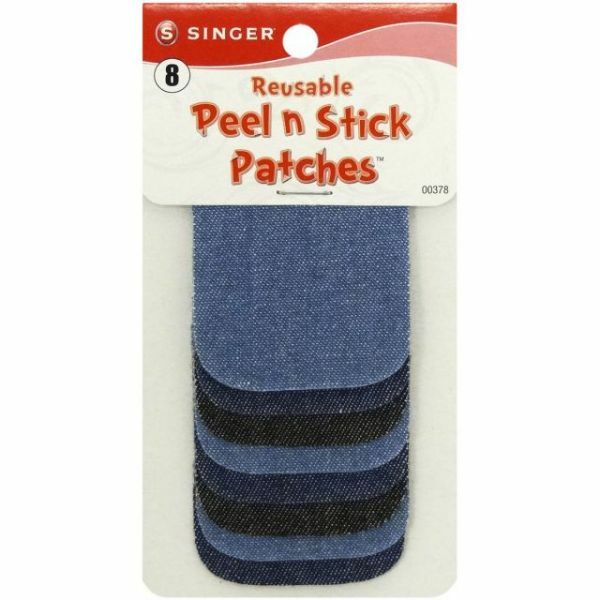 This package contains eight 3x2 inch peel n stick patches in denim designs. Patch can be removed before washing. Reapply patch when dry. Imported.